Almost 200 people are killed each year in work accidents, take the proper precautions and don’t become part of the statistics! Health & Safety in construction. Why is it important? Health and Safety consists of regulations and procedures intended to prevent accident or injury in workplaces or public environments. Within construction, Health and Safety is required to protect yourselves, your workers and the environment. 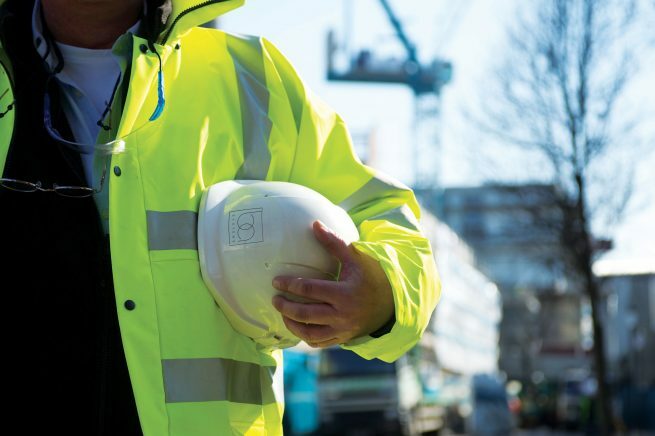 Rules and regulations from the HSE (Health and Safety Executive) must legally be abided by and appropriate work-wear must be worn by all entering site. As well as this, all companies working within construction sites, must have the correct accreditation’s as required by the HSE. 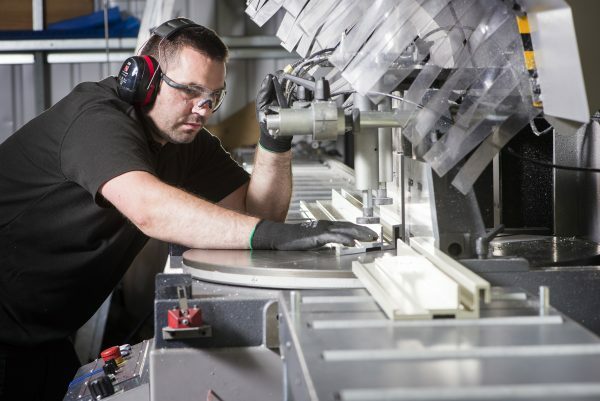 Ensuring the above is met will help to prevent injury, accidents and death in the workplace. Accreditations, such as CHAS and SMAS, demonstrate H&S competence and show that necessary procedures are being followed, in case of an incident. CSCS cards, which are awarded after a H&S exam has been passed, are compulsory for any worker stepping onto site, even as a visitor. Failing to comply with this means permission will not be granted onto a construction site. SSSTS (Site Supervisors Safety Training Scheme) and SMSTS (Site Manager Safety Training Scheme) are training courses aimed at supervisors and managers. The two-day SSSTS course is designed to raise awareness of the legal responsibilities of a supervisor to their subordinates and provides vital risk assessment skills . The five-day SMSTS course gives the correct skills and knowledge to a supervisor to ensure safe working conditions for their employees. Training and Practices: Any operative using tools, machinery or vehicles should have risk awareness training. By ensuring that the risks are known and precautions are being taken at all levels, accidents or injuries in the workplace can be avoided. RAMS are risk assessments and method statements that are produced prior to works commencing on site. 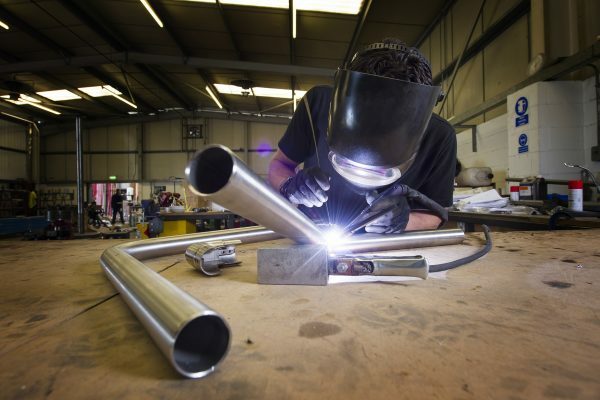 They are intended to ensure that health and safety issues are properly considered for and risks minimised in the design and planning process. Personal Protective Equipment is vital on site to make sure that any worker can safely carry out their work while being protected from possible safety hazards. Main Contractors and Sub-Contractors have a legal obligation to show a duty of care to their workforce, including providing workers with the correct PPE uniform. Not all sites require full PPE as construction sites have different policies. All construction entrants and workers are briefed on the requirements during the site induction. The majority of construction sites require at least hi-vis clothing, hard hats and steel-toe shoes at all times. How do BA Systems do it differently? 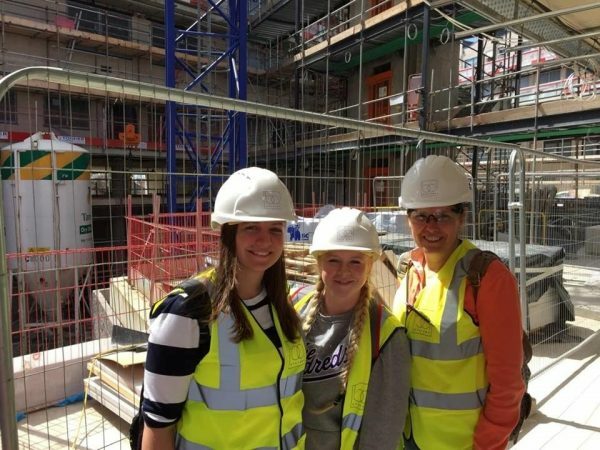 Office staff are sent out on at least two site visits per year. 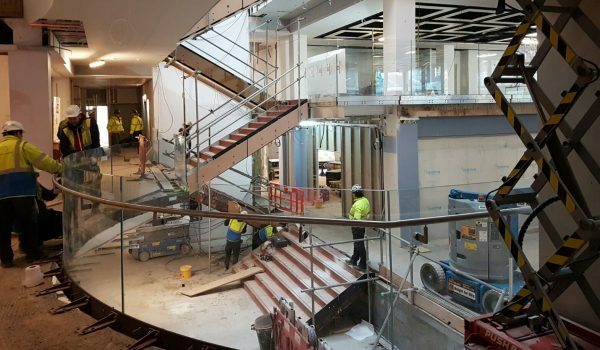 This exposes the in-house team members to the on-site risks and ensures there is a proactive approach at all levels across the company to Health and Safety Management. 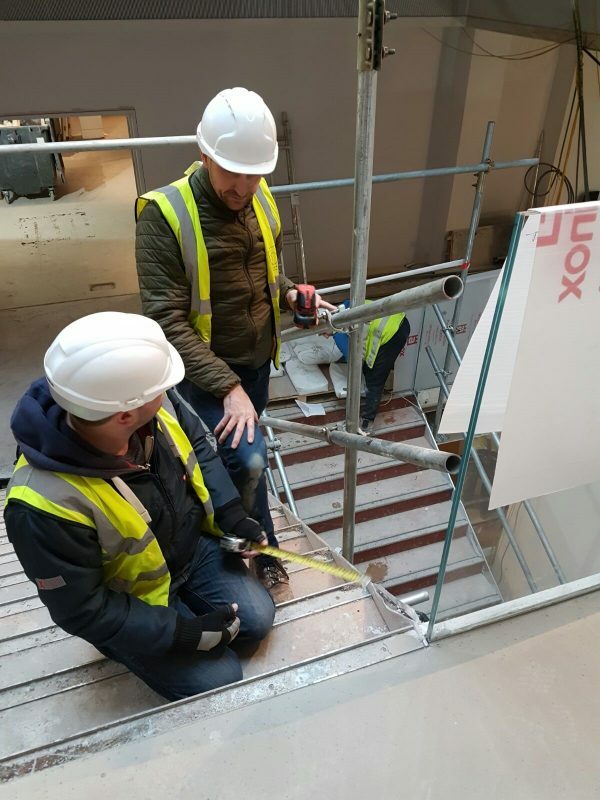 At early stages, when designing balustrade details, the design team develop solutions that will minimise installation risks. For example, a common issue is that manual handling risks are not considered for at the early stages of the project. 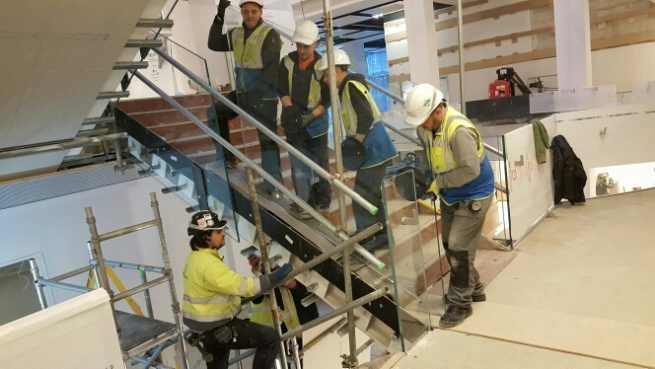 To combat this, the BA Systems design team ensures that toughened and laminated glass is drawn to make the glass panels easy to manouvre and install by the fitters. On each site, where installation works are happening, at least one team member will be a SSSTS trained operative. 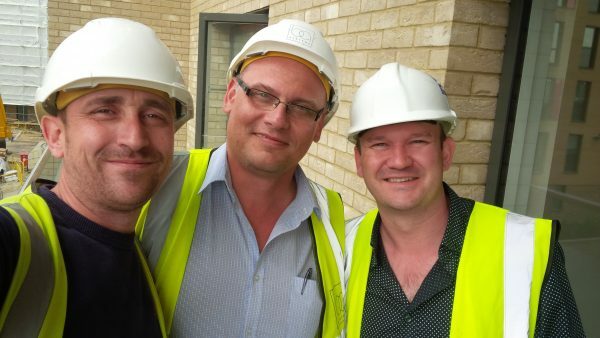 The BA Systems Project Managers hold the SMSTS five-day qualification and make regular visits to all BA Systems construction sites. 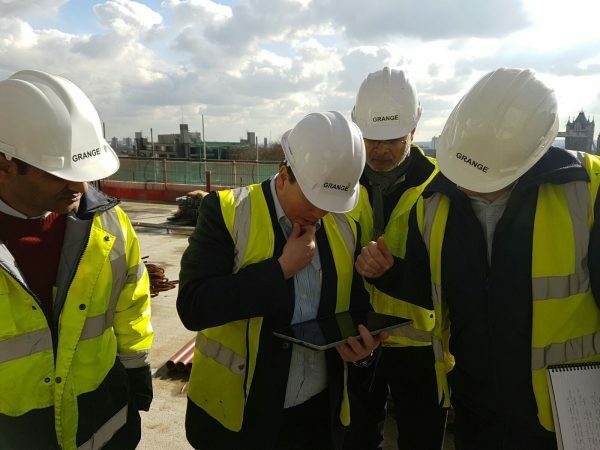 Accurate weekly on-site reporting to the in-house team. The BA Systems’ Health and Safety Consultant and Marketing Manager provided our installation teams with management folders. These are filled in on site and reported back each week. The folders are there to note any potential issues and precautions managed throughout the week, to register the teams that are on site, the qualifications they hold, the PPE worn and more. Six Monthly Health and Safety Management review meetings are held for all external teams and relevant internal managers. These meetings cover potential risks on site, any updated Health and Safety requirements and to go through and update the H&S Management folders. 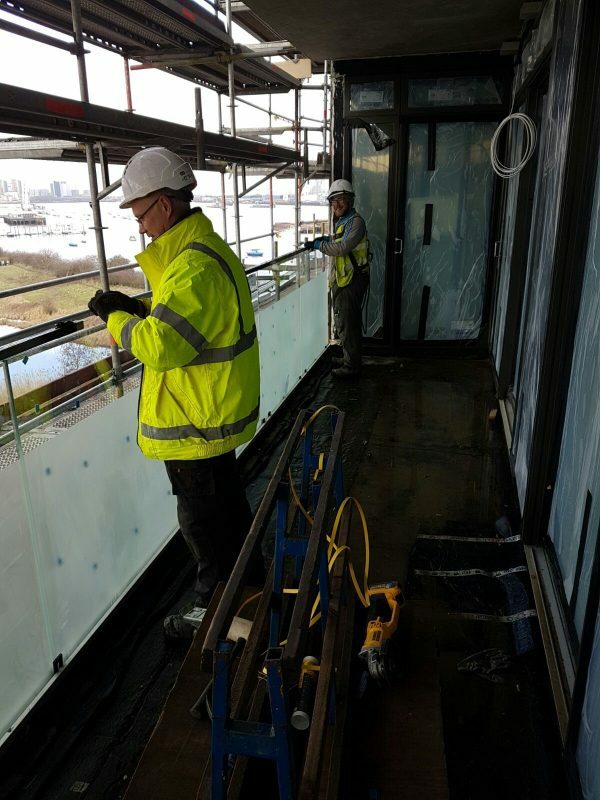 “BA Systems fully complied with all H&S requirements on site, and adhering to all WDC Safety Policies and following their Safe Systems of Work.